Chimera by Anna Madia © 2015. 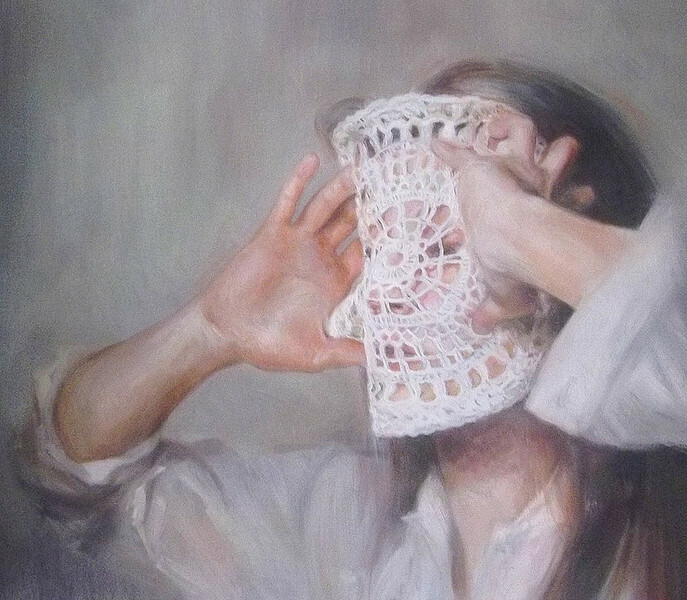 Anna Madia graduated in Painting at the Albertina Academy of Fine Arts of Turin, Italy. She lives and works in France. She was among the artists selected by Vittorio Sgarbi for the Italian Pavilion of the 54th Venice Biennial (Piedmont Region) in 2011. She has won numerous prizes and awards. You can read more about her here and follow her on Facebook. Ina lár is níl aithne ag éinne orm. A scoir láithreach dá ghnó. Le Grand Testament do chum. And life is never still. Original poem by Thomas MacDonagh, translated by Gabriel Rosenstock. Gabriel was born in 1949, in postcolonial Ireland. He is a poet, playwright, haikuist, essayist, novelist, short story writer, and author/translator of over 180 books, mostly in Irish. Member of Aosdána (Irish Academy of Arts & Letters) and Lineage Holder of Celtic Buddhism. You can read more about Gabriel here and browse his books here. This poem is read by Doireann Ní Ghríofa, an award-winning bilingual poet, writing both in Irish and in English. Paula Meehan awarded her the Ireland Chair of Poetry Bursary 2014-2015. She has recently published a new collection of poetry, Clasp (Dedalus Press, 2015).